Professor Simshaw is a former supervising attorney with the Institute for Public Representation, where he specialized in communications and technology law and represented public interest organizations in rulemakings and adjudications before federal agencies and in litigation before federal appellate courts. In 2017, he received the H. Latham Breunig Humanitarian Award, given biennially by Telecommunications for the Deaf and Hard of Hearing, Inc., in recognition of his pro bono advocacy on behalf of people with disabilities. He previously taught as a fellow in Georgetown Law’s Communications and Technology Law Clinic and at Elon University School of Law. Professor Simshaw researches and publishes in the areas of communications and technology law, including the regulation of emerging technologies, the ethical implications of technology in law practice, and legal practice pedagogy in light of new technologies. His article, Ethical Issues in Robo-Lawyering: The Need for Guidance on Developing and Using Artificial Intelligence in the Practice of Law, forthcoming in the Hastings Law Journal, was presented at Yale Law School’s 2017 We Robot Conference, and is the culmination of research he has presented at workshops, discussion groups, CLEs, and webinars hosted by, among others, Georgetown Law School, the American Association of Law Schools, and the Robotics and AI Committee of the American Bar Association. 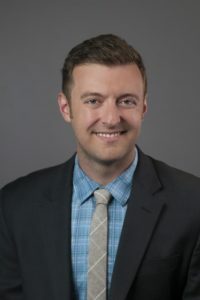 His work has also been published in the Minnesota Journal of Law, Science, & Technology (co-authored), the Richmond Journal of Law & Technology (co-authored), the Tennessee Journal of Race, Gender, & Social Justice (symposium issue), the American Journal of Trial Advocacy (symposium issue), and the Federal Communications Law Journal (note). A proud AmeriCorps alum, Professor Simshaw earned his B.A. from the University of Washington, his J.D. from the Indiana University Maurer School of Law where he served as an Articles Editor for the Federal Communications Law Journal, and his LL.M. in Advocacy with distinction from Georgetown Law.